Scott was the third child out of six, born near Devonport, Devon. Though his father was a brewer and magistrate, there was a family tradition of British military service in both the navy and army. As a child he lived in reasonably prosperous conditions, but, in later years, when Scott entered the navy, his father fell onto hard financial times. Scott passed examinations and was accepted into the navy, at only aged 13, as a cadet. At age 15 he became a midshipman, it required a series of examinations and out of a class of 26, he was ranked 7th. Like most budding naval officers, Scott went from ship to ship and in the process saw a number of countries, including: South Africa and St Kitts in the Caribbean. A number of senior officers were impressed by Scott's "intelligence, enthusiasm and charm." At 18 years of age, and yet still a midshipman, he became a marked man, one who was cable of high adventure. "In 1894, while serving as torpedo officer on the depot ship HMS Vulcan, Scott learned of the financial calamity that had overtaken his family. John Scott, having sold the brewery and invested the proceeds unwisely, had lost all his capital and was now virtually bankrupt. At the age of 63, and in poor health, he was forced to take a job as a brewery manager and move his family to Shepton Mallet, Somerset. Three years later, while Robert was serving with the Channel squadron flagship HMS Majestic, John Scott died of heart disease, creating a fresh family crisis. Hannah Scott and her two unmarried daughters now relied entirely on the service pay of Scott and the salary of younger brother Archie, who had left the army for a higher-paid post in the colonial service. Archie's own death in the autumn of 1898, after contracting typhoid fever, meant that the whole financial responsibility for the family rested on Scott." In June of 1899, while home on leave at London, he had "a chance encounter" with a senior officer under which he had served earlier on in his career. It was from this officer, Clements Markham, who by then was a Knight of the Realm and the President of the Royal Geographical Society (RGS), that Scott "learned for the first time of an impending Antarctic expedition under the auspices of the Royal Geographical Society. It was an opportunity for early command and a chance to distinguish himself. What passed between them on this occasion is not recorded, but a few days later Scott appeared at the Markham residence and volunteered to lead the expedition." 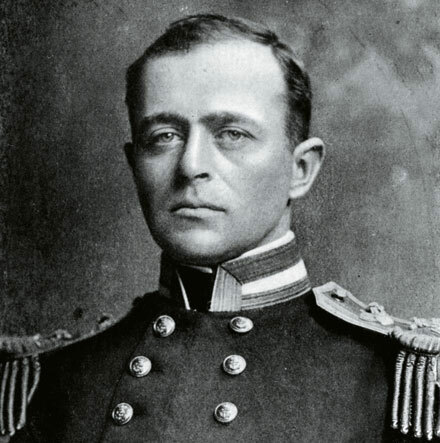 Though he was not a shoo-in, he eventually won the overall command of the the Discovery Expedition (1901–1904). The Discovery returned to England during September 1904. Though this first expedition of Scott's ran into serious difficulties, it had caught the public imagination, and Scott became a popular hero. In the result, Scott received many honours and medals, including one received at Balmoral Castle while a guest of King Edward VII. After things settled down a bit, Scott "resumed his full-time naval career, first as an Assistant Director of Naval Intelligence at the Admiralty and, in August, as flag-captain to Rear-Admiral Sir George Egerton on HMS Victorious." "Scott, who because of his Discovery fame had entered Edwardian society, first met Kathleen Bruce early in 1907 at a private luncheon party. She was a sculptor, socialite and cosmopolitan who had studied under Auguste Rodin and whose circle included Isadora Duncan, Pablo Picasso and Aleister Crowley. Her initial meeting with Scott was brief, but when they met again later that year, the mutual attraction was obvious. A stormy courtship followed; Scott was not her only suitor -- his main rival was would-be novelist Gilbert Cannan -- and his absences at sea did not assist his cause. 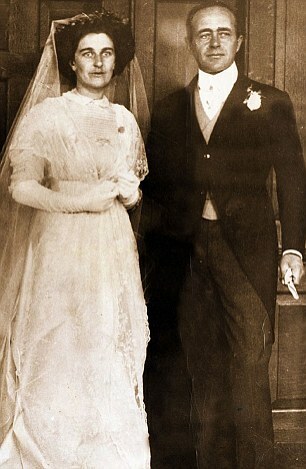 However, Scott's persistence was rewarded and, on 2 September 1908, at the Chapel Royal, Hampton Court Palace, the wedding took place. Their only child, Peter Markham Scott, was born on 14 September 1909." As we know Scott lost his life in his second expediation to the Antarctic. He and his party of five which reached the South Pole on 17 January 1912, but only to find that they had been bested by Norwegian Roald Amundsen by just 35 days. On their return journey, Scott and his four comrades all perished from a combination of exhaustion, starvation and extreme cold. To his wife and intimates, Scott was known as "Con"; the men of the ship referred to him as "The Owner." How can I guess how things will be with you when you get this -- ?.?.?. But oh dearie I am full of hope. She concluded: ‘When you come home, we’ll feel closer and closer together and the long time we’ve been apart will seem only a little hour. May all the good gods conspire to bring my Con through his great difficulties with a glad heart and a constant hope. Bless you dearest of men. 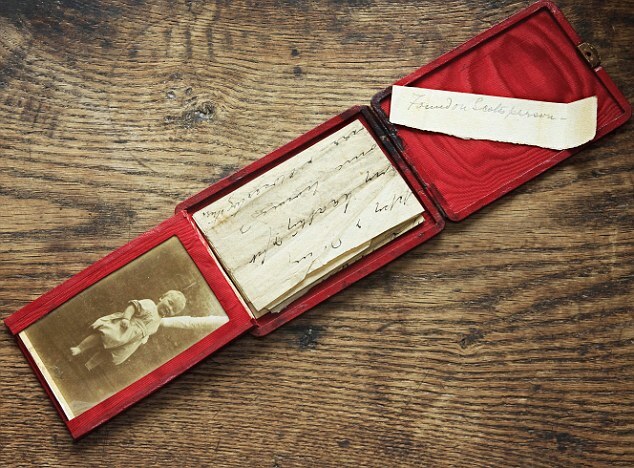 The letter was discovered in a red leather case on Capt Scott’s body when a rescue party found him and his dead companions eight months after they perished in a relentless snow storm in March of 1912. Also in the case, which is embossed with Capt Scott’s initials in gold, were two pictures of Kathleen and their son Peter, who was nine months old when his father left for Antarctica and who went on to become the conservationist, Sir Peter Scott.